For a special intimate show on Sunday May 5th. 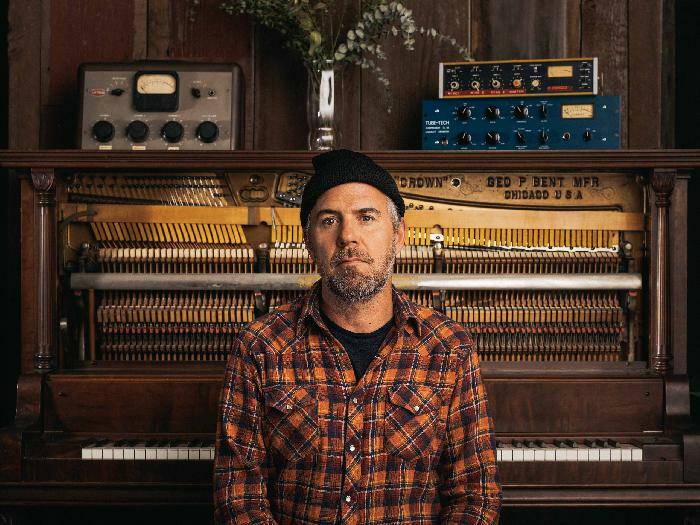 Jason Lytle first wandered into the public consciousness as the principal singer and songwriter for the band Grandaddy. Formed in Modesto, CA in 1992, and eventually consisting of Lytle along with Aaron Burtch, Tim Dryden, Jim Fairchild and Kevin Garcia, the band initially broke through with 1997&#8242;s Under the Western Freeway and the NME-praised single "Summer Here Kids." The band's sound," atmospheric electronics meet warped Americana", crystallized on 2000&#8242;s Sophtware Slump, which was met with breathless hype and earned the band "Next Big Thing" status. Tireless rounds of international touring and mountains of fawning press led to 2003&#8242;s Sumday, increasing album sales, more touring, more press,TV show appearances, and a slot on the main stage at the Glastonbury festival. The band produced another EP and an album entitled Just Like the Fambly Cat, before disbanding in 2006. Since then, Jason has created music for a number of national and international commercials and released his debut solo album Yours Truly, The Commuter in 2009. A number of collaborations followed including two tracks with Danger Mouse and Sparklehorse for the Dark Night of the Soul album and with former Grandaddy drummer Aaron Burtch and Earlimart's Aaron Espinoza and Ariana Murray in the Admiral Radley project which yielded 2010's I Heart California.